We have portable digital radiography, the most advanced technology available in modern imaging. Our mobile units allow us to take x-rays in the field, view the images immediately, and diagnose and treat your pet within minutes. If necessary, we can send the results to a specialist for interpretation or surgical consultation. We are also happy to save the images to a CD for you to view or share. We have portable digital ultrasound imaging that can be used in both small and large animals for reproductive evaluation, abdominal scanning, and imaging masses and organs for diagnostic sampling. Ultrasound also allows us to examine for soft tissue injuries, tendons and ligaments, in horses. We offer video endoscopy, which is valuable in detecting upper airway disease in horses as well as proximal gastrointestinal, stomach, and esophageal disease as well as ulcers in horses. 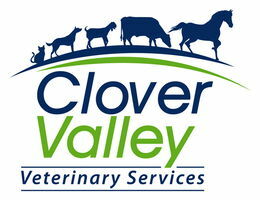 Endoscopic examinations can be performed at our clinic or on the farm. Our laboratory allows us to evaluate your pet’s health using advanced testing procedures. Our sophisticated diagnostic testing allows us to perform a wide range of screening tests to quickly diagnose and treat your pet.